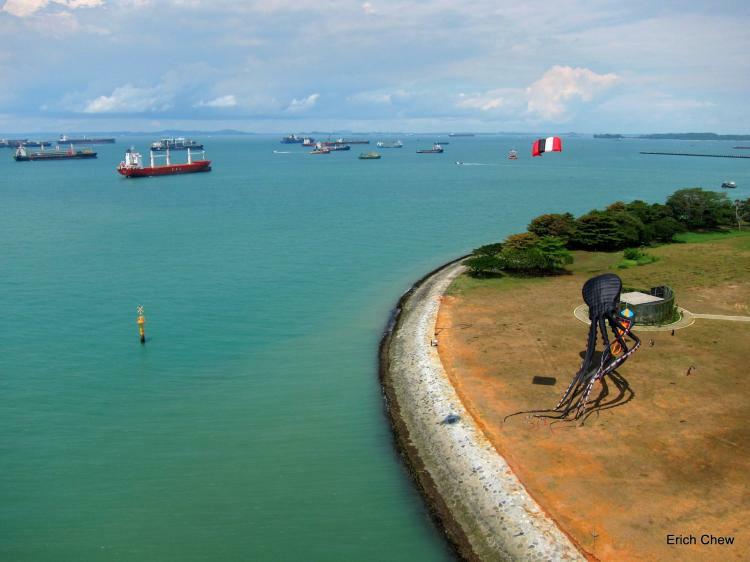 This ridiculously huge octopus kite, made by custom kite maker Peng Xian Chun was flown for the first time at the Mariana Barrage in Singapore on Sunday May 15, and the video of the kite has gone viral on Facebook. The kite looks like something straight out of a horror movie! (War Of The Worlds maybe?) 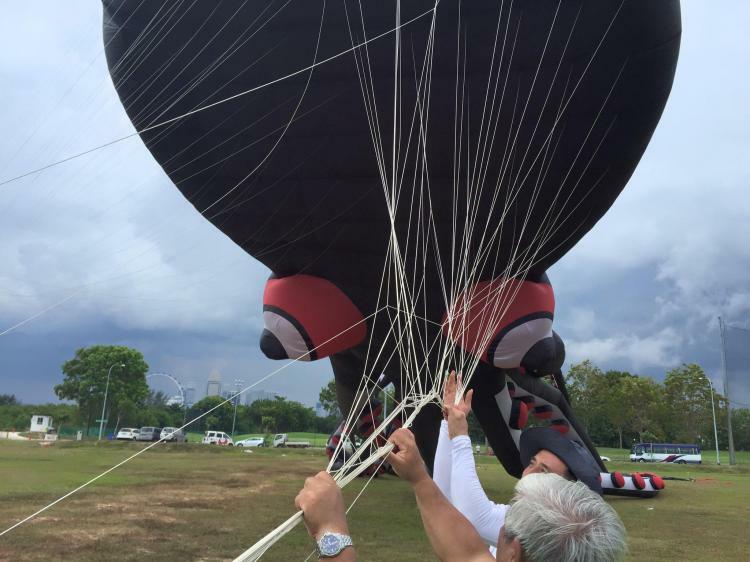 It takes six people to get the massive kite in the air which measures 200 feet long (about the length of 5 city buses). 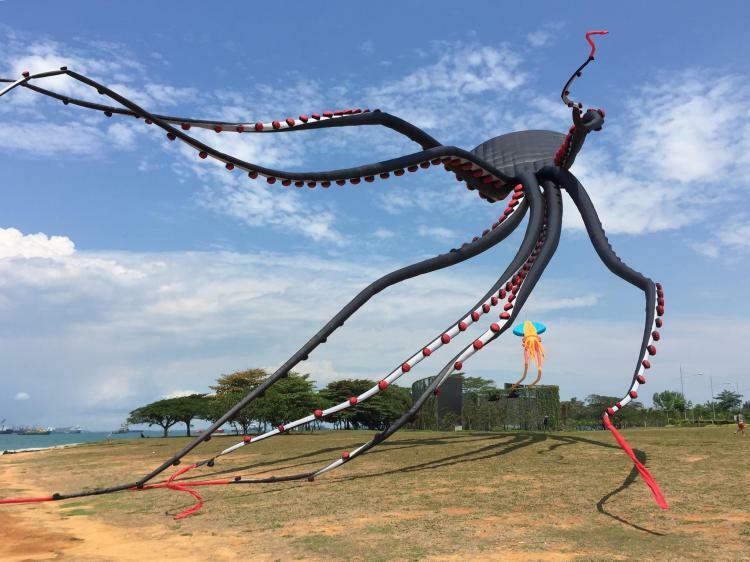 This giant octopus kite is believed to be the biggest kite in Singapore, but unfortunately as far as we can tell, the maker of these kites do not actually sell them anywhere. Although this giant octopus kite is not for sale, there are similar ones online that you can purchase, albeit, probably not quite as huge. 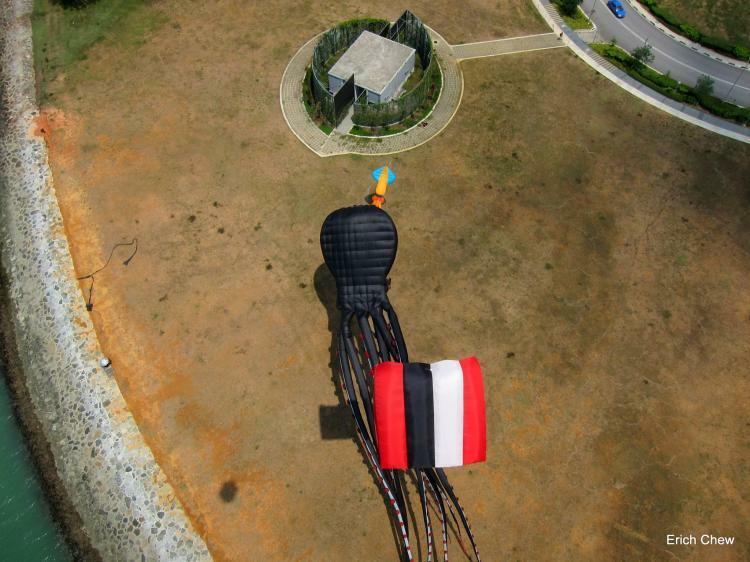 For one, a site called Emma Kites, offers a variety of different octopus kites that range in size anywhere from 33 feet long to 100 feet long depending on how crazy you want to get. 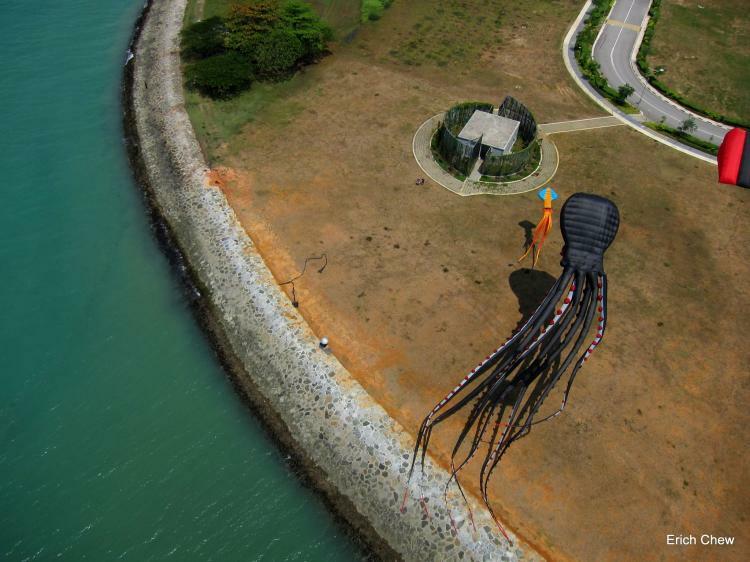 There are also a few giant octopus kites available on Amazon. Whatever giant octopus kite you plan on getting, most are made from rip-stop nylon, have a wind range from 5-15 mph, should be used with a 500 lb flying line, and should probably not be your first kite ever flown as I can only assume it takes some skills to fly these things. 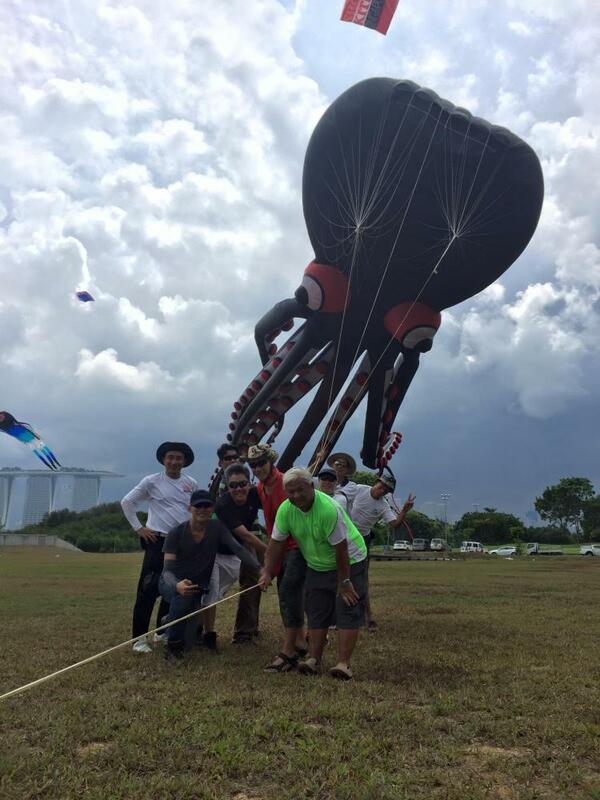 Check out the giant octopus kite in action via the video below.